Looking for the perfect way to display hanging holders? Our Shepherd hooks allow for ease in hanging holders in many settings! Use these in your planters, to light walkways, or in outdoor event settings. Fill your hanging holders with candles or flowers to enhance your space! Showcase favorite items by using ribbons tied to the hook! 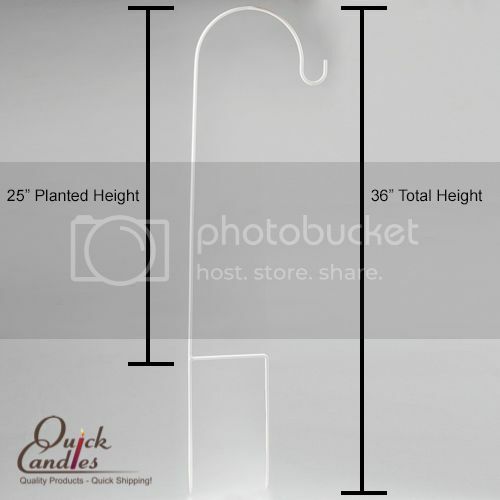 These hooks are made of sturdy metal and also available in white. Pair with our assortment of hanging holders! Once the 36” hook is placed in the ground your standing height will be approximately 25” from the ground.